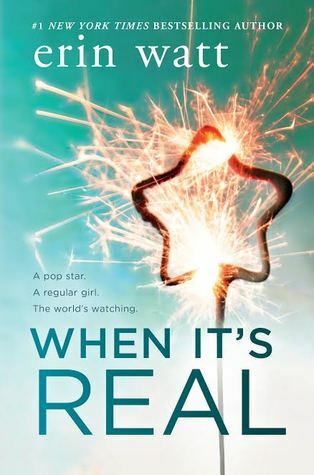 Shel: When It's Real checks off all the boxes for us and is adding to what we now know we should expect from an Erin Watt book. It has fantastically snarky dialogue, lots of great tension, and two interesting teenage characters--Oakley and Vaughn. Let's start with those two, shall we? The writing duo Erin Watt has a way of making me strongly dislike their male protagonists only to turn the tables on me and have me totally loving them. When I first "met" Oakley he was so easy to dislike--so arrogant and spoiled and frustrating--but as the novel progressed, so did Oakley. He gradually became less douchey and more vulnerable and open, even as he held on to this sort of swaggering confidence; it was this combination of alpha vulnerability that turned things around for me and a large part of that had to do with Vaughn. Vaughn was more like able than Oakley but she was not without her own flaws (as we all are); namely her weaselly boyfriend W (ugh, that guy was a loser with a capital L) and using her snark as her armor when with Oakley. As she shed her armor and allowed herself to be open and more vulnerable with Oakley, she seemed to trigger him to want to do the same. I especially liked that the writers created her to be less than confident on her next steps --I think it's great to see a main characters not have all the answers and yet are allowed the room and space to explore rather than make a hasty career/school decision. Oakley and Vaughn were a fun pairing to read. Shel: Part of the fun was never knowing what one would say to antagonize the other; I liked how the tensions started with their first meeting and continued to simmer in the background as their feelings morphed into what we see at the end--that tension kept it interesting . The dialogue and texts and tweets weren't just what moved the plot along they enhanced the entire reading experience--there was a lot of laughing and swooning going on. Court: As I said their way of getting to know each other had me a bundle of nerves and experiencing angst and dying to know what would happen next, but at the same time hoping it would never end. 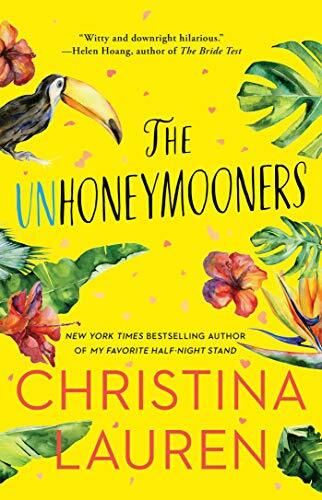 I laughed out loud, I might have teared up once, and I absolutely devoured this book! Shel: Not only were the main characters interesting, the secondary characters were too. The various conversations and situations with body guards, friends, and family members, and others helped round out Oakley and Vaughn and have me hoping that we may revisit them all in the future. I enjoyed them all so much that I'm already hoping they'll be a holiday short or a newsletter special or a cross over into the Royals so that I can see them all again--I miss them already. Court: ME TOO! Would it be productive to re-read this book until the next Erin Watt book comes out? I cannot get enough. I was wishing for more pages, and was wishing that I could slow down but the characters had me so engrossed that I could. not. stop! Shel: Erin Watt fans--this isn't the high drama of the Royals (thank god, I barely made it out alive) and we think you're going to love When It's Real because it's not that high drama but something that is equally good and stands on its own. Court: I agree. This was a perfectly finessed book in every way. I loved every scene, and really was so glad of so much growth in each character and the plot was so well developed and the setting was one that I love so much. And I'll stop now that I am just writing in incoherent run-on sentences, but you get the gist. You will not regret giving this book a try! Meet Oakley Ford-teen celebrity, renowned pop star, child of famous movie stars, hottie with millions of fangirls… and restless troublemaker. On the surface he has it all, but with his home life disintegrating, his music well suddenly running dry, and the tabloids having a field day over his outrageous exploits, Oakley's team decides it's time for an intervention. The result: an image overhaul, complete with a fake girlfriend meant to show the world he's settled down. 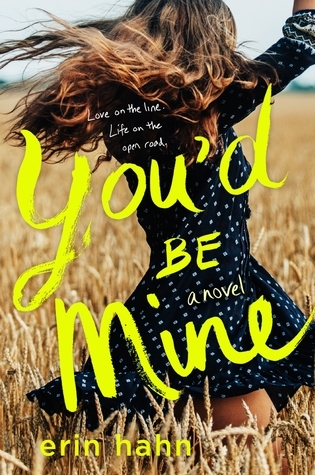 Enter seventeen-year-old Vaughn Bennett-devoted sister, part-time waitress, the definition of "normal." Under ordinary circumstances she'd never have taken this gig, but with her family strapped for cash, she doesn't have much of a choice. And for the money Oakley's team is paying her, she figures she can put up with outlandish Hollywood parties and a team of publicists watching her every move. So what if she thinks Oakley's a shallow, self-centered jerk? It's not like they're going to fall for each other in real life…right?